In October, LAPIS Semiconductor, a branch of the Japanese technology company RHOM, revealed Orizuru – an Unmanned Aerial Vehicle (UAV or drone) shaped as an origami paper crane. The remote-controlled drone is a 3D printed creation made from a nylon filament. The origami look is then completed using layers of decorative folded paper. Unlike most drones commonly known, Orizuru executes flight in a dynamic new fashion. It is also repairing the damaged relationship between the nation of Japan, and drones in general. The most incredible quality of the Orizuru is not its delicate appearance but how the drone flies. The Orizuru does not hover or soar. Rather, it moves with the natural flying motion of a bird. The mechanics driving this beautiful mode of propulsion is Lazurite Fly – a microcomputer that is comparable in size to a SD card. The Lazurite Fly, nylon skeleton, and paper all together weigh approximately 1oz. This stunning piece of drone technology is not a mere novelty, it is on a very important mission. As the preeminent tech-forward country, it is of great importance to revise the image of drone technology for the Japanese people. The UAV became suspicious for it’s use in protests of Prime Minister Shinzo Abe. Japanese Prime Minister, Shinzo Abe. In April 2015, there was a significant incident when a drone landed on the Japanese Premier’s home, containing what was believed to be radioactive sand. The episode initiated a major investigation by the Japanese authorities, and many in Japan have become weary of drone use because of its potential to aide violent terrorism. Orizuru hopes to mend those fences because of its deep cultural inspiration. 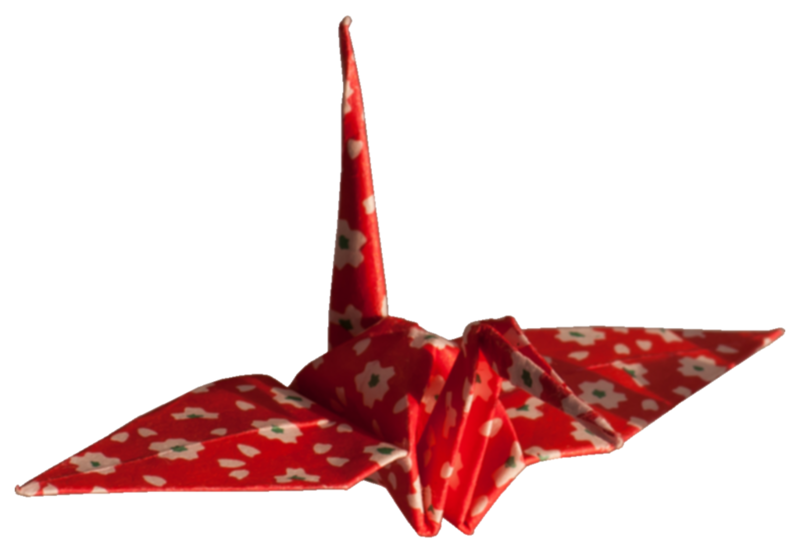 LAPIS Semiconductor and RHOM chose the paper crane – based in appearance on the Red-Crowned Crane – due to it’s historic association with Japan. Cranes hold deep cultural significance in many cultures in East Asia since antiquity. In Japan specifically, the Crane embodies good fortune and longevity; as ancient Japanese myth dictates Crane’s possess a thousand year lifespan. Cranes are revered as holy icons. For this reason, LAPIS and RHOM believed it the ideal ambassador to communicate drone technologies great possibilities, in a culture deeply rooted in symbolism. No plans have been released as to additional uses for the Orizuru such as package delivery, or other logistical functions. For now, its sole design is to do what all Crane’s do: just fly.